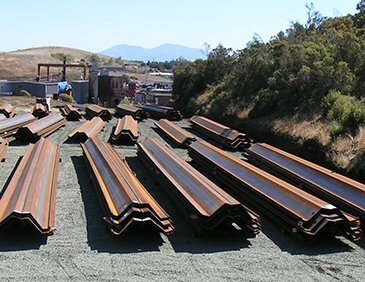 With multiple stocking facilities throughout the United States, Hammer & Steel maintains one of the largest inventories of steel sheet piling in North America. 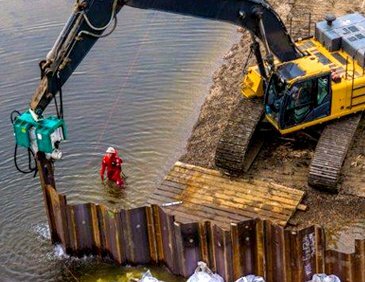 We sell and rent three different hot-rolled, "Z" type sheet piling products, flat piling and combination systems to ensure that we can match the needs of your application. 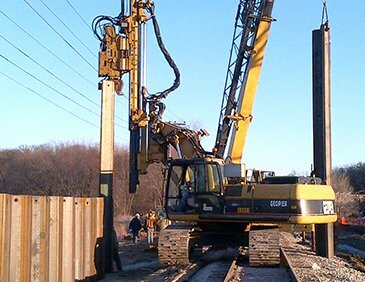 Manufactured by Gerdau Ameristeel, PZC sheet piling sections utilize a design that is wider, lighter and stronger than traditional Z-profile sheet piling. Hammer & Steel sells and rents Grade 60 steel sheet piling which can give improvement of 20% in design life compared to a sheet pile in grade 50 steel. 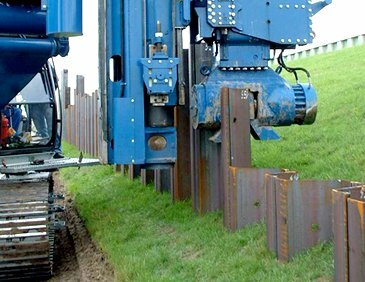 Typically used for circular cell design applications, flat sheet piling is a proven technology that is still used on many projects. 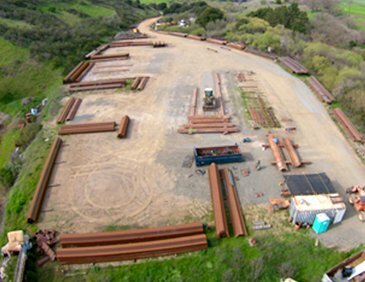 As one of the largest stocking distributors of steel sheet pile in the United States, we often have an extensive inventory of used sheet piling for sale.